Are you ready for your “handy” tips? Did you catch my little pun? I thought it was fun – agh, now I’ve rhymed too. 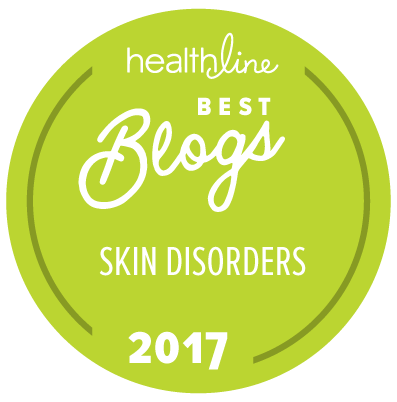 Ok, enough joking around, it’s time for these essential hand eczema tips that are hands down….oops. Ok, I’m done. Here we go, on to what you came for. According to the National Eczema Association, hand eczema affects close to 10% of the U.S. population. It is most often trigged by contact allergens (especially if you work with chemicals and other irritants), but also environmental allergies and food allergies or sensitivities. Similarly to all forms of atopic dermatitis, hand dermatitis can cause both itching and redness along with cracked skin and sometimes blisters. Regardless of which type of hand eczema you suffer from, it’s important to keep skin under control and protected as to not cause infection. So, how can you control your hands’ eczema? To first understand eczema flare-ups, it’s important to think about what can trigger it. You might not realize it, but grooming products that you use on hair and skin as well as household cleaning products can trigger a flare-up due to the chemicals used or if they contain an ingredient you may be allergic to. For example, shampoos, soaps, laundry detergents and surface cleaners can cause your skin to react. You may even react to metals like nickel, which is found in rings either alone or as a filler in white gold! Read Jennifer’s story about her nickel allergy and how she thought she was allergic to her wedding ring. Food is often a trigger for people, but the specific offending food varies from person to person. Many times the top most common food allergens are a good place to start with eggs, dairy and gluten a leading cause of eczema on hands. To really know whether a skincare product or home cleaning product is causing your outbreaks in the form of contact dermatitis, it’s best to conduct an elimination test to really get to the source of your flare-up. The best thing to do is move to all vinegar and water cleaning products, as you can’t get much more simple than that and if you make them yourself, it’s both easy and super inexpensive. Vinegar cleans really well and has so many uses around the home. If you don’t like the idea of vinegar and water for your laundry routine, I suggest giving the Smart Klean Laundry Ball a try. There are no added ingredients, just minerals to wash away dirt and grime. Commercial stain remover are loaded with harsh chemicals that can trigger contact dermatitis. A good alternative is the Smart Klean Natural Stain Remover, which has very limited ingredients, all of which are natural, and is a much safer and a gentler version of commercial stain removers. If you’re experiencing irritation from every day skin and body care products like soaps or shampoos, you might want to take a look at more natural alternatives. In general, products that use as few ingredients as possible are the best bet. This way, if you do react to a product, you’ll easily be able to determine the offending ingredient when it contains only 6 instead of 20+ ingredients. In terms of hand soap, you cannot get more natural than grass fed tallow soap, which contains only 3 ingredients and is free of artificial colors and fragrances. Tallow soap is famously fatty and moisturizing and will keep your hands clean without stripping skin. It can also double as a shampoo for short hair, but if you find it’s too moisturizing or you prefer a liquid soap, Emily Skin Soothers also makes a natural body wash for eczema that doubles as a shampoo for scalp eczema or seborrheic dermatitis. Another type of trigger for eczema on fingers and hands can be from seasonal allergens found in pollen and environmental allergens like dust mites, mold and dander from pets. Although these are much more difficult to eliminate, there are natural remedies that can help alleviate your allergy symptoms. 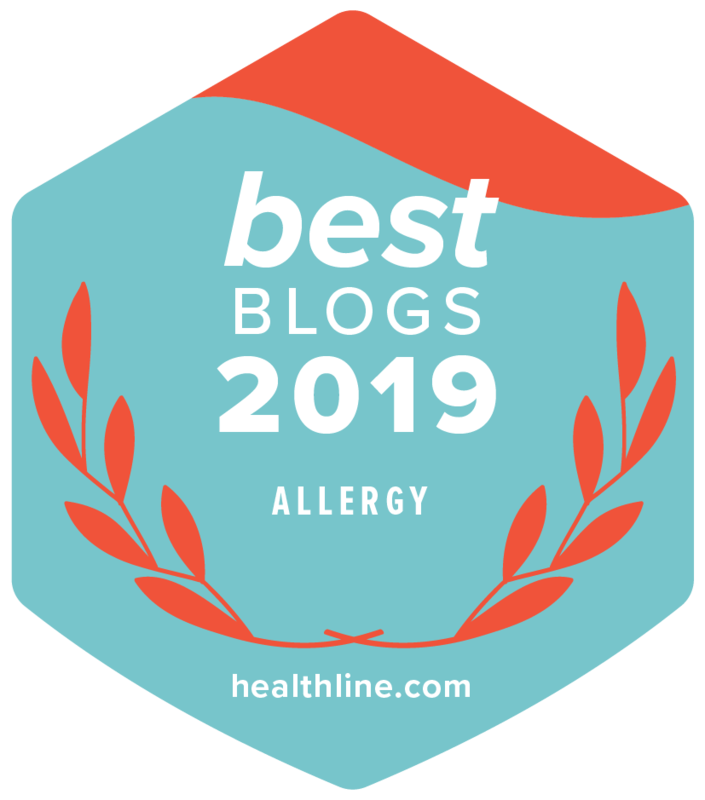 Check out our post: Top Natural Remedies for Allergies for some great ideas. Although natural soaps have less ingredients and some are much more fatty and moisturizing than others, soap is always more drying than washing just with water. So, whenever possible, skip the soap and rinse your hands with water and then pat dry. If you absolutely need soap, something simple like the tallow soap mentioned above is best, but always immediately follow with a good moisturizer. Switching to a natural soap is actually what really helped improve the eczema on my boyfriend’s hand. So I’m a big proponent of experimenting with different soaps. If you’re experiencing dry, cracked skin or tiny blisters on your fingers and hands, you’re going to want to opt for a moisturizer that will keep your skin moist, and again has very few ingredients. Although there are several over the counter products you can use, as well as prescription creams, these are often filled with chemicals and common irritants. Thankfully, there has been much success with natural skin care too. A favorite of ours is the Organic Manuka Skin Soothing Cream because it contains only 6 ingredients! And it can moisturize even the driest of skin and is great if you have itchy bumps on your fingers. This cream is extremely gentle and nourishing and won’t burn or sting your skin. Because we use our hands all day long, it’s important to protect them from irritants as much as possible and there is no easier way to do this than to wear gloves. Although a moisturizer alone might work to keep the area moist and hydrated for a little while, wearing gloves at home over a moisturizer will lock in the moisture and help skin heal faster. If you have contact eczema (because of laundry or any other irritants), gloves will help keep your hands protected and prevent fewer flare-ups. What are the best gloves for eczema? 100% cotton gloves can stretch out over time and lose their shape, but we have found two types of gloves we really love. Remedywear ADULT Gloves for Psoriasis and Eczema in soothing TENCEL and zinc fabric. And for little ones, try their KIDS Gloves for Eczema. They now make eczema mittens for toddlers and babies as well. Bamboo gloves – these gloves maintain their form and are cooling, an added bonus. Learn more about them here: bamboo eczema gloves for adults and in children’s sizes too. For overnight use, apply a layer of moisturizer on clean skin and cover with gloves. Wearing gloves overnight on top of a layer of moisture is called “Dry Wrapping,” and it protects the skin from scratching and irritants AND covering the skin with moisture that’s locked in with the gloves will provide soothing and overnight healing. Want to know more about dry wrapping? Check out Our Eczema Trials: Dry Wrapping. If you’re experiencing a severe case of hand dermatitis, you’ll want to take a look at wet wrap therapy. This process goes a step beyond dry wrapping. To wet wrap you apply a cream or balm and layer it with a soaked damp glove followed by a dry glove on top for a minimum of 2 hours. This type of therapy will keep the skin even more moisturized and will provide quick relief for even the most stubborn cases of eczema on fingers and hands because the damp layer will lock in moisture and allow it to penetrate the skin over a longer period of time before drying out. The Remedywear or bamboo gloves mentioned above work well for wet wrapping as well as dry wrapping. Although having eczema on your hands can be both frustrating and irritating (literally), there are several products and therapies out there to provide relief. However, before treating the symptoms, it’s always important to know which underlying issue is causing the flare-up. This way you’ll be better prepared for flare-ups and perhaps eventually heal your hands all together! What keeps your hand eczema under control? Share with us in the comments below! I have had hand eczema for several years and I know there is currently no cure, so it is a case of managing the symptoms. Topical steroids do not really work for me, although a course of oral steroids will clear things up temporarily for a couple of weeks. I really do not like taking these and would prefer to take a more natural approach. Interesting to read that eggs, dairy and gluten a leading cause of eczema on hands. I have not seen this before. I will try removing eggs and dairy from my diet and see if that helps at all. I have struggled to find any lifestyle triggers for my Hand Eczema . I already sleep with my hands covered in moisurising ointment under cotton gloves. Such a performance each night but it does seem to make some difference. Dairy and eggs are a big trigger for a lot of people with eczema, as is gluten. I hope you find your triggers! I have found that I’m allergic to fleece. If it touches my skin directly, I get a flare up. I can wear fleece over a turtleneck, but if it touches my skin for any length of time, my skin looks like it’s been burned and itches like crazy. I was allergy tested and am allergic to yeast. It is in so many things including alcoholic beverages, cheese, crackers, etc. Ever since trying to eliminate yeast as much as possible my hand eczema is better. Not perfect, but better for sure. I hope this can help some of you out there. Allergic to yeast, well that is so difficult. As you say it is contained in such a lot of foods and drinks, especially the alcoholic variety! I still have yet to find the trigger for my hand eczema, 2018 is the year I become a “flexiterian” eating as little meat as possible to see if this helps. I gave up eating red meat a few years back and only eat Chicken and Fish now. Hard to say conclusively but I think my hand eczema may have started at around this time. I will give it a try and post the results, if any, on my blog http://www.handeczema.co.uk/blog if you or others are interested to follow my progress. I used to suffer with severe hand eczema so I can completely understand the struggle! Over the years I have tried all types of creams, prescriptions and over the counter. Nothing has ever worked. I received the Made from Earth Pure Aloe Treatment on 1/2018 and I immediately put it on. I was pleasantly surprised at how it soothed my sore hands, even with this first application. On the second day I was shocked at how my hands felt and the pain wasn’t as bad, I can honestly say I saw a difference . It only gets better with each passing day. I have been using it now for 4 days and my hands haven’t looked or felt this good in a very long time!!!!! I just placed an order for 4 more jars. People at work think I’m mad wearing gloves inside on a warm day but they don’t understand the pain I go through with eczema on my hands. If people only knew what we sufferers go through each day, but I wouldn’t wish my condition on my worse enemy nevermind my friends. I have this condition but have not had a bad flare up in several years. It was really bad and one time and seemed to be triggered by nickel in rings or certain soap or cleaners, although I couldn’t always pinpoint the cause. I did discover that if I massaged the area (instead of scratching) as soon as I noticed any small blisters, redness, or itchiness starting, it would lessen the severity or it would stop completely and never surface at all. It has worked for me over and over again. I think maybe massaging dissipates the histamine that is rushing to the area under the skin, but I’m not sure. It does hurt to do it sometimes, but it saves days and weeks of itching, blisters and peeling skin which is much more painful and annoying, so this is how I self treat. Works for me so I am posting in case it might work for someone else. -I’m a house keeper so I’m exposed to lots of chemicals. I did eliminate gluten for a while to see if helped reduce my vitiligo but it didn’t help. I’m on CBD oil because I’ve read it also helps with vitiligo but hasn’t worked. But it helps my anxiety. So yeah. My hands are cracked and bl ending at times and it’s super painful. I don’t use any steroids or creams because I will only take the holistic approach. Any advise would be helpful from anyone. Hi Nancy – Did you read through our post? We have a lot of helpful suggestion to discuss with your doctor – definitely worth a shot! I’ve been dealing with this for about 6mths. My hands felt as if they were on fire which landed me in the emergency room. I was give oral meds that work immediately. I have since had 2 biopsy one on each hand, results were negative. I’m currently having a flare up which brought me 2 this post. I have NOT figured out what causes my flare up yet. But I currently use Fluocinonide Ointment 0.05% prescribed by my dermatologist twice a day with cotton gloves, Cetaphil, (NatureWell) Extra Virgin Coconut Oil moisturizing cream and Gold Bond Cracked Skin Relief. I keep my hands moisturized at all time. NOTE: I am 46yrs old and I sit at a computer all day for work. It just occurred out of nowhere. As a nurse, I truly believe it’s absolutely reckless to suggest and tell people to whenever possible skip soap and rinse their hands with water and pat dry. Hand washing is the number one way and first line of defense to prevent the spread of infection…to self and to others. It also prevents cross-contamination. I also struggle with eczema, as I’ve had it since I was an infant. It’s quite simple!! Wash with warm soap (fragrance and sulfate free) and water, moisturize immediately after with natural oil/butter…such as vitamin e, pure cocoa butter, almond oil, authentic African Shea butter, etc., wear gloves while cooking or cleaning or prolonged contact with water, and aloe vera straight from an aloe vera leaf or from plant, on mild irritations. While some of these products you’re advertising are nice they are not necessary and can be costly. Hi Sasha -Yes, we certainly agree hand washing is important to prevent germs. We are simply saying, when there is no worry of bacteria or germs, skip the hand washing. And most of us don’t need soap all over our bodies – most of us use too much soap and it dries the skin out. When showering and bathing, certain parts need special attention with soap, but most do not.